Recently, I was contacted via email by a student in Master of Science in Wine Management at the Wine and Spirits Business School of Dijon. 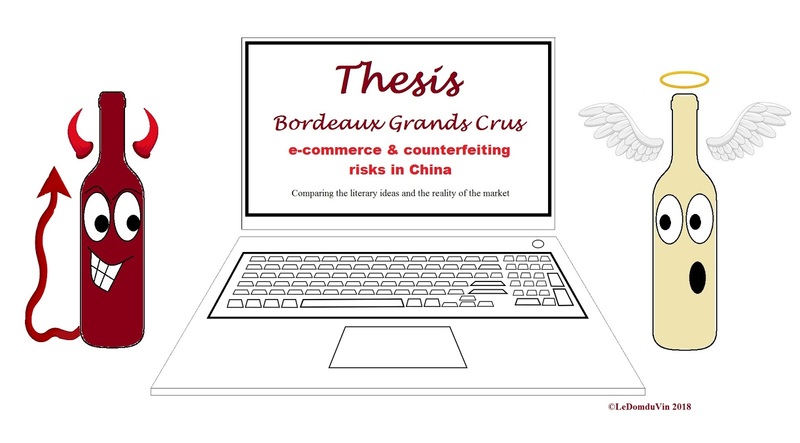 Her name is Manon Lledo and in order to help her in her research work for her thesis, she asked for my help and knowledge to answer a few questions regarding the subject of her thesis "e-commerce and counterfeiting risk(s) in China for Bordeaux Grands Crus". I obliged this young lady by answering her questions to the best of my knowledge and experience, without getting into too many details or divagating from the subject (as I normally do), based on my last 7 years of experience working in Hong Kong, and going to China on monthly basis. Years that I also spent scrutinizing the market with countless monthly market analysis as well as doing the inspection and authentication of all the bottles the company I work for buys. A few days after, I asked her if I could use this "interview" as a post on my blog, as, after all, I'm well implicated into the subject of fake and counterfeit wines in my daily routine at work, and I wanted to share that knowledge and my answers with you all (as I did previously in my previous posts about fake and counterfeit wines, read them here, here and/or here). 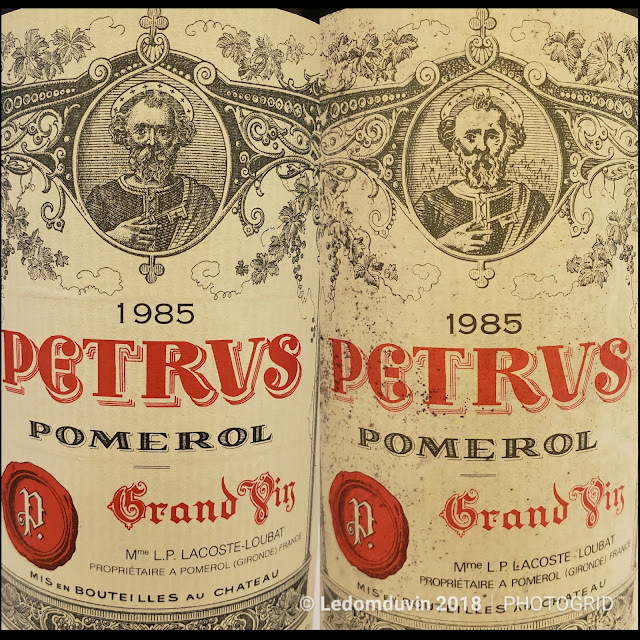 I have been in the wine business for the past 27 years, buying wines from all over the world, but more especially Bordeaux and Burgundy directly from the Chateaux and Domaines or from the Négociants, as well as from other sources. And although I have not been in a "Wine Buyer" position since 2012, I have worked as a Sommelier and wine buyer for restaurants as well as wine & spirits boutique retail stores for 21 years, prior to taking my current position as Wine Quality Control Director and Market Analyst 6 years ago, therefore, although, I may not have all the answers, I surely have an educated opinion to offer to answers these questions. Moreover, the company I work for mostly buys the top 250 wines in the world (70% Bordeaux, 20-25% Burgundy and 5-10% of the rest of the world), with an increasing collection of more than 700,000 bottles with vintages going as far back as 1825. So there again, I may not have all the answers, but for the last 6 years, all cases and bottles we bought were inspected and/or authenticated by our Head of Purchasing and myself. Hence, I can say with confidence that I have a certain experience and that I'm very acquainted with how to fish out fake and counterfeit bottles. 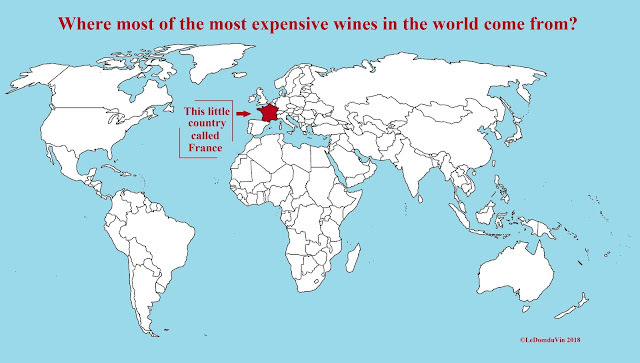 Where do you buy Bordeaux Grands Crus from? Despite buying older vintages occasionally from "La Place de Bordeaux", we more often buy from different sources like auction houses, private collectors, brokers and occasionally retails, but Quality Control inspections are done pre-purchase and/or post-purchase to ensure cases and bottles quantity, quality, and conditions. Have you ever been the victim of counterfeiting regarding Grands Crus? As we carefully check the integrity and genuity of all of our suppliers and other sources, and as we also do detailed inspections and authentications of all the bottles we buy (pre- and/or post-Purchase), I don’t think so, but it might have happened, you never know. Despite my knowledge and experience and constant learning in that field, it is sometimes hard to tell as counterfeits are becoming harder and harder to spot. I take a lot of notes and pictures during the various inspections and authentications of the bottles we buy that I keep as records. When in doubt I systematically go back to these records to compare, verify and confirm whether it is a genuine bottle or whether it is a counterfeit. However, it has happened that, sometimes, I gave some bottles the benefice of the doubt as I couldn’t find any materials or enough details within my own records from the previous inspection(s) of the same wine in the same vintage. In this specific case, I usually check on the internet and do some research. It has happened that I even emailed the winery with questions regarding details on labels or capsule or even the bottle, but rarely got any answers. I'm sure that within our stocks, and more especially amongst the bottles bought from auctions and eventually from some private collectors, and despite all the precautions we take and the inspections and authentications we do, some might be counterfeits. The problem is how to prove it when sometimes you lack details in your own records, lack of knowledge on a specific bottle, label or vintage, cannot find anything on the internet and even the Chateau is not responding to your emails? How can you do it? Unless you open the bottle and taste the wine, how can you do it? More especially when it is a bottle of Petrus (or DRC Romanee Conti) at 30,000 HKD (3,350 Euros), how can you do it? Consequently, I'm afraid to admit that, unfortunately, for all the reasons cited above and despite all the procedures that we have to prevent it, yes, we may have been the victim of counterfeiting. Yet, within the market of luxury goods, including the top wines of Bordeaux, counterfeits are nearly unavoidable. Which are according to you the most counterfeited Bordeaux Grands Crus? Like for all luxury goods, wine counterfeiting has always existed. Yet, it has become over the last 15 to 20 years a very lucrative and increasing business. 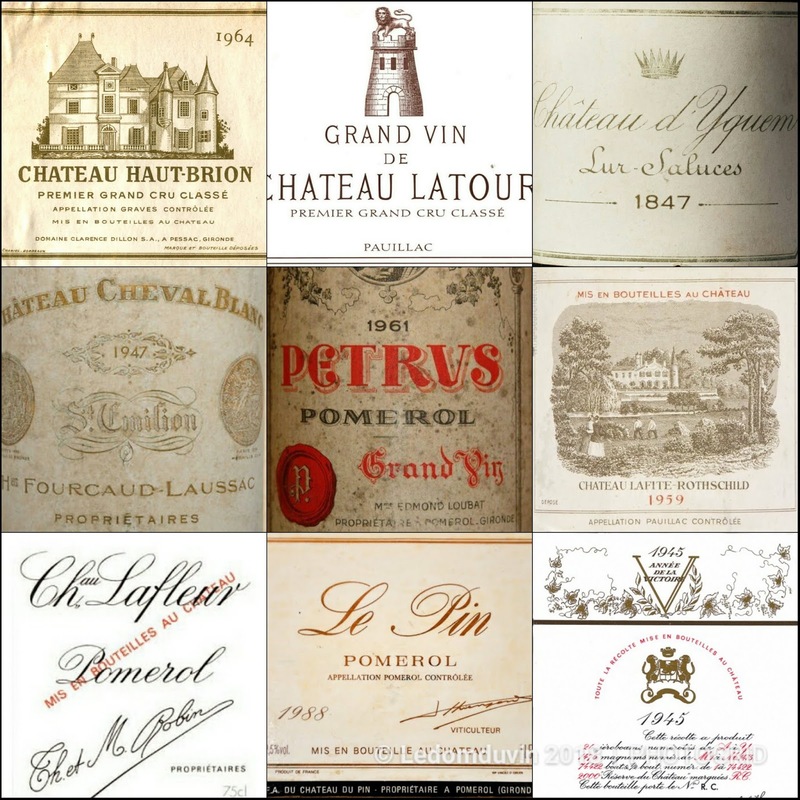 Although some may be in the business of creating fake cheap wines (as it also a lucrative business), counterfeiters usually prefer to keep big and fast money in mind and have bigger aim than common mass-market wines, so counterfeiting mostly concerned the best Chateaux in their best vintages (in my opinion and from my experience). 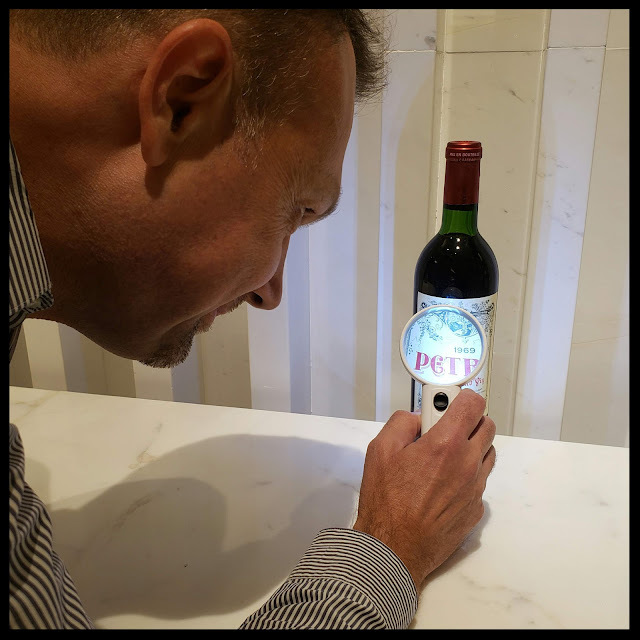 Those that are the most renown and the most recognizable globally and/or correspond to something in certain markets like “Lafite” in China (where there is probably more wine than the Chateau ever produced...). 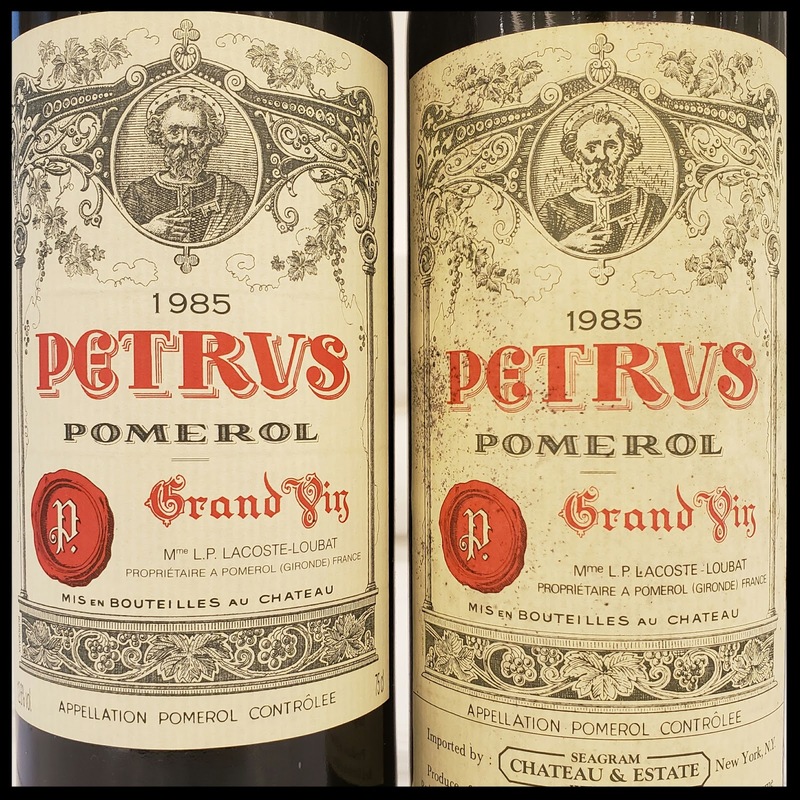 Understandably, it is logistically easier, more efficient and less costly for a counterfeiter to produce just a few bottles of Petrus (or DRC) at 30,000 HKD (3,350 Euros) a bottle, than to produce a larger quantity of cheap wine at 300 HKD (33,5 Euros) for example. 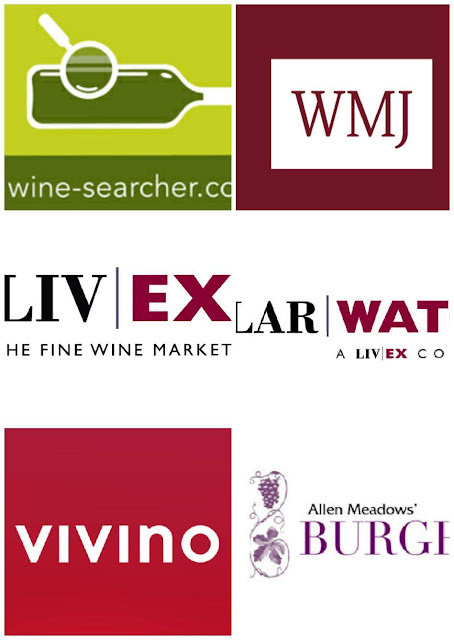 Do you buy wines online for your business? In general, no, but it has happened sometimes when looking for very specific wines in particular vintages, with barely or no availability on the market. 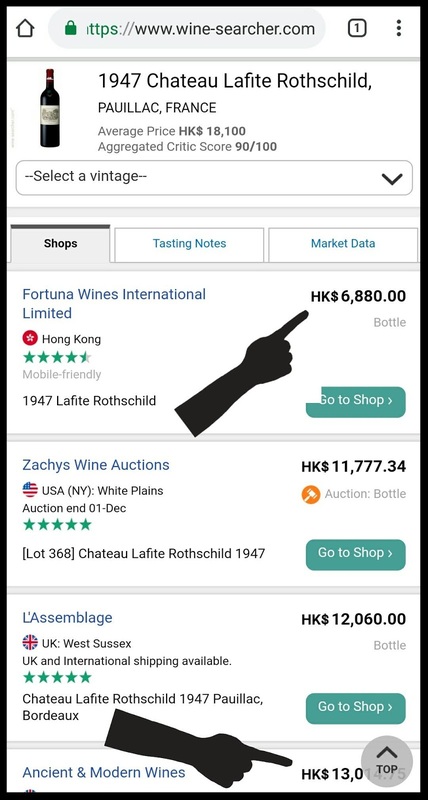 In that case, if we buy from the UK or Switzerland for example, we contact directly the online retailers and ask for high-resolution pictures of the good at different angles as well as some info about provenance, previous ownership and conditions of storage, etc... prior to buying (or not) the particular wine. If the retailer cooperates, then depending on the overall conditions of the bottle(s) and the info received (of course), we might buy the wine. Yet, not all online wine retailers are able or willing to cooperate by sending pictures and/or detailed info. In that specific case, we definitely do not buy the wine. So, if not provided, unless the needed info is specifically stated on their website with clear and high definition pictures to check details, it is too difficult to check the provenance and bottle conditions, and therefore we prefer not to buy. 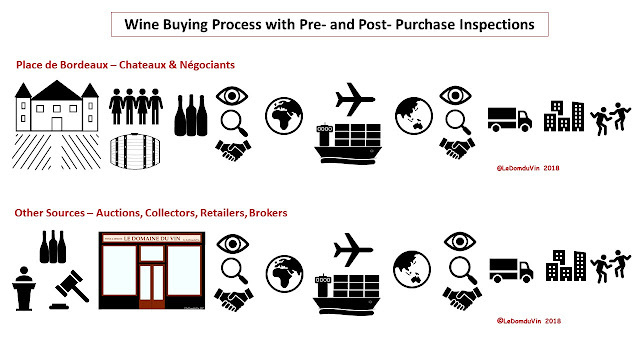 Some online retailers/businesses may provide traceability proof + high def pictures on demand prior buying for you to check the goods prior making a buying decision, but it usually only happens if you are a good customer with "buying history" with them and if you have a trustable seller/buyer relationship with them; otherwise you are like anybody else, you place your order "blind", without being able to get details you need and may end up disappointed at good receiving. Moreover, with online retailers, you are never really sure where the bottles are coming from and how and where they were stored previously. So, not only you have no guarantee of the provenance, but also have no guarantee of the wine conditions. The high-end bottles you just bought may have been around the world 10 times already and/or may be counterfeit. Who knows? Do you buy wines online for your private consumption? Not frequently, because, unless I know and like the wine already, I prefer going to a store and looking around, look and read the labels, and get inspired on the moment. I worked as a Head Sommelier in restaurants and Store Manager/Wine Buyer for “cavistes” and boutique wine retail stores, so I have always been in contact with the bottles and I like to take my time, and be present within the store to look and touch the bottle, hesitate, think, read another labels, hesitate again, then finally make a decision between 2 bottles and usually end up buying both (or more). I’m kind of old school that way. I like the convenience of buying online, but I prefer to shop around and go with my feelings on the moment facing the bottles on the aisles. There is something very impersonal and sterile about buying online in my opinion, probably the lack of contact with the product but also the lack of chatting with the vendor to ask questions and more details about the wine (but that's just me). 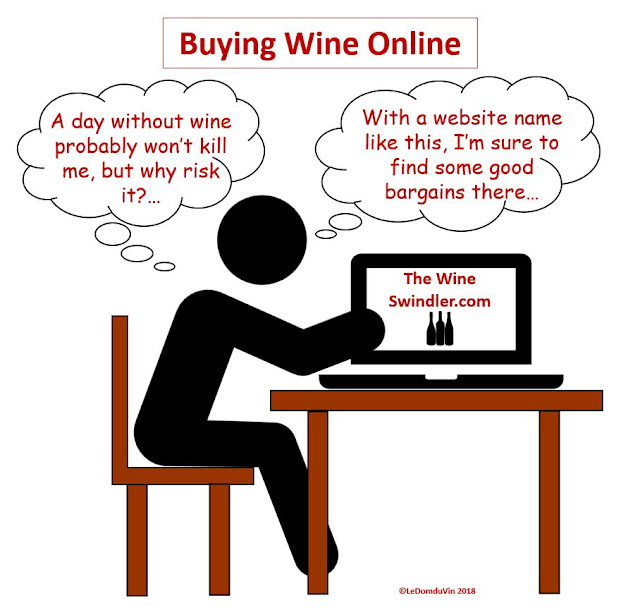 Do you think there is a higher risk of buying wines online? It depends, for mass-market wines probably not, but for high-end wines and older vintages, I do think so. More especially in the Asian Markets, where for some reasons I have seen over the last 5-6 years the number of top-tier wines in older vintages (the 30s, 40s, 50s, 60s and even some from late 1800s) increasing drastically. Are they fake or not? Or is it simply a coincidence? Not sure.... 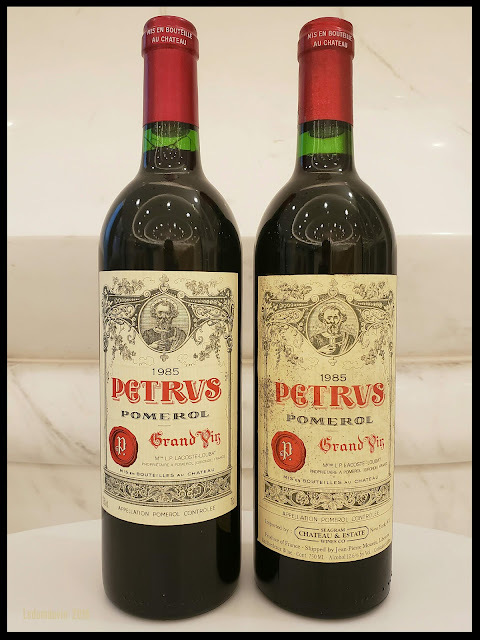 But it is funny to think that back 15-20 years ago, these wines were scarcely found and very rare, nearly unavailable on the market, and nowadays you can pretty much find them anywhere in the major markets (Hong Kong, Singapore, London, New York), and more especially at auctions. I’m not sure what it means, either people kept these wines for decades and started to resell them recently due to the increased value (x12 for some Lafite over the last 15 years and don't even get me started with DRC...), or there is a very lucrative business for the counterfeiters on the grey and the black markets. One may think that maybe the example of Rudy Kurniawan would have refrain counterfeiters, but it does not seem to be the case. If we take Lafite 1947 or Lafite 1961, for examples, there are respectively 48 and 44 online wine merchants selling it on Wine-Searcher, and it makes me wonder…. Personally, I would not be surprised if half of them or more are actually fake (especially looking at the huge difference of prices for 1961 for example), and/or have been around the world countless times already via private collectors and auctions, and may not be good anymore. As stated previously above, unless I know well the online retailer and have previously done business with, and I have checked its integrity and background, and received high-resolution pictures and other needed details about the provenance, the previous owner, the conditions of storage, etc... I will seldom buy high-end wines online. How could you guarantee the Grands Crus you buy are not fake ones? When we buy directly at the source, either at the wineries or from a reputable and reliable Négociants, we ask for bottling certificate to be provided as well as bottle provenance and conditions (via various documents and pictures), more especially if the bottle(s) does not come from directly or previously from the Chateau. 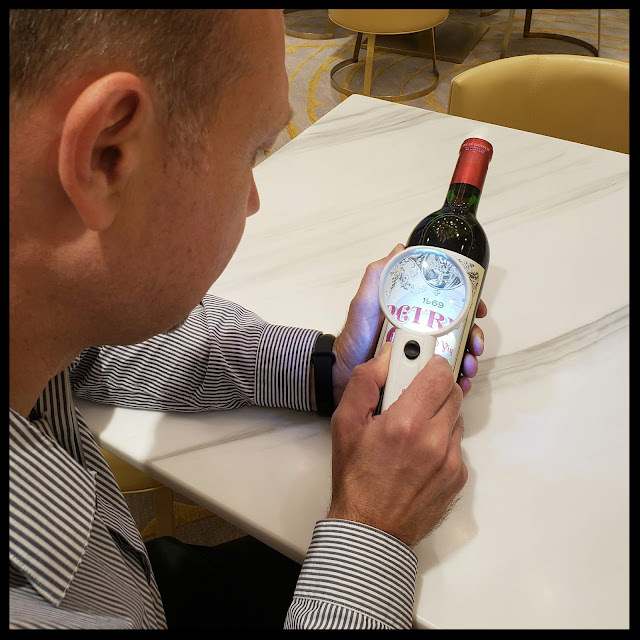 We also do post-purchase inspection and authentication (if possible prior or at good receiving), to ensure the bottles we bought are not in bad conditions or fakes, and that they correspond to the documents and pictures priorly received. As stated above, when we buy from private collectors, auction houses and/or retails, we also do pre- (when possible) and/or post-purchase inspection and authentication (prior or at good receiving), to ensure the bottle we buy (or just bought) are not in bad conditions or fakes. In doubt, we investigate further. And if the doubt persists, we simply reject the bottle(s) and send it back to the seller, and get reimbursed for it (them). Doing these pre- and post-purchase inspections are very important, essential I should say, as they allow us to filter the bad bottles (bad conditions or fakes), as in turn when we resell them, we ought to be a reliable source for our clients and therefore guarantee that all of our bottles are in pristine conditions and definitely not fakes. That is why we buy mainly directly from the Chateaux or from the Négociants to get unopened genuine OWC (Original Wooden Cases) usually sealed with the Chateaux or Negotiants Band, which offer guarantee and security of the genuity of the wines for our clients. 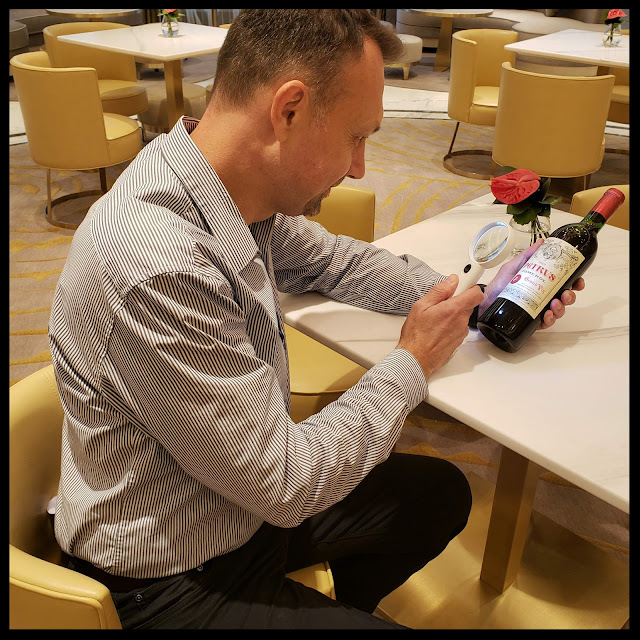 As the Wine Quality Control for the company I work for, I do all the inspections and authentications of the bottles myself, it does not mean that I may not miss some fake or counterfeit bottles, but there is only a small chance for that to happen. Are there more reliable online websites than others? Yes, of course, a simple study on Wine-Searcher can easily be done to check prices, availability, reliability, and integrity of the online websites, and expose at the same time the retailers that are more reliable than others. The retailers with the cheapest prices might just do that to attract customers, but they do not have the product, and maybe dodgy (unreliable/dishonest), and therefore should be avoided. Or they have it, but the bottle is in poor or bad conditions (capsule, label, cork and/or even the wine inside...). The bad thing about this is that it drives the "Wine-Searcher Average Market Price" lower for this particular wine, becoming an unreliable reference. The retailers with the highest prices might also do that to attract the customers, or just do that as they do not want to sell the product, so they just put an over exaggerated price to show that they have the product, but are not necessarily in the rush to sell it. 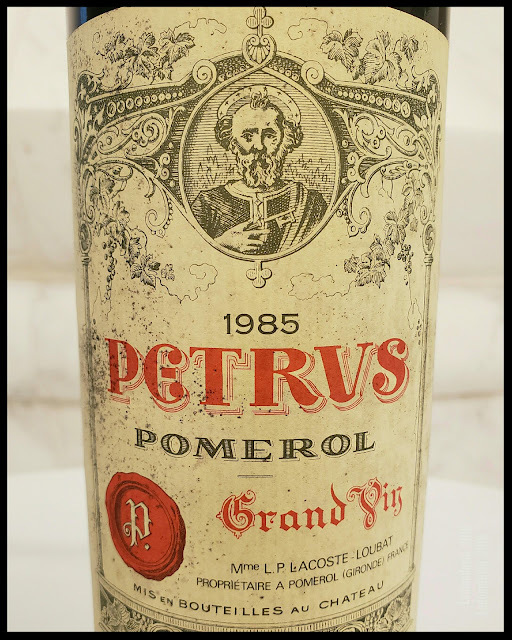 Like for cheap prices, the bad thing about this is that it drives the "Wine-Searcher Average Market Price" higher for this particular wine, also becoming an unreliable reference. That is why "Wine-Searcher Average Market Prices" should always be taken with cautions and not always for granted, especially for high-end wines. Then after it is a question of experience to differentiate the good from the bad ones, like for any other products. The good ones might be for you some online websites/retailers you may know already by experience or because they are located nearby, or because they provide good services, some because of the reputation or whatever else. Like most people, first you do your research, compare then define the price you want to pay, then you place your order online, then wait to receive the goods. If ok at reception, then you might think that this particular online website is reliable and probably will order again. If not, then you will try to get reimbursed and go through all the difficulties one may encounter when ordering online. Personally, I prefer to call the online website/store and ask for more details to be provided prior to making my final buying decision. If cooperative, then I will have more reasons to trust them; if not then I will take my business elsewhere (like anybody else I guess...). Which ones do you trust in? Of course, there is a handful of online websites/retailers that I trust. However, it is a very difficult question to answer and it would not be fair for me to mention some of these online websites/retailers in this post and not others that I may miss amongst the ones we do business with. All I can say that like for anything else, it is a question of trust, integrity, reliability, services provided and overall personal experience and relationship with the online merchants. 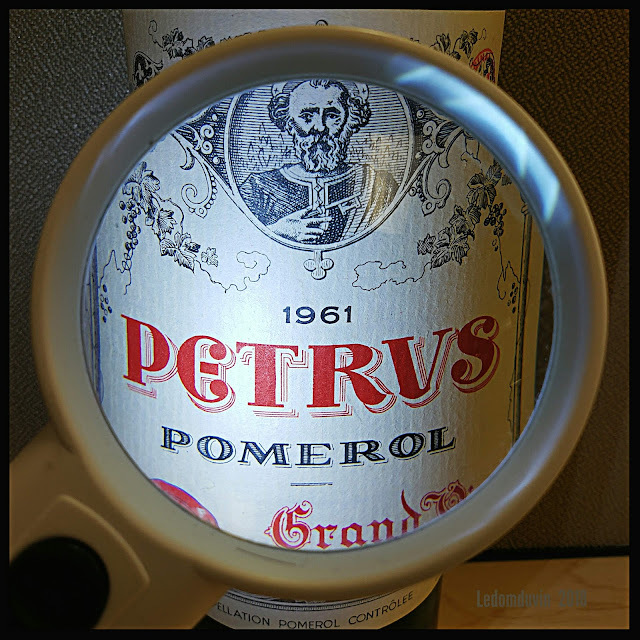 Do you think is there a bigger risk of counterfeiting for Bordeaux or Burgundy Grands Crus? And Why? 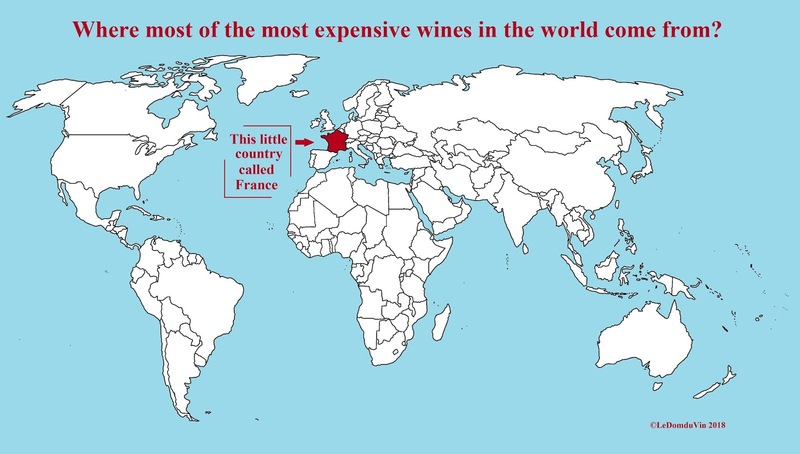 Simply put, the top 50 best and most expensive wines in the world mostly come from Bordeaux and Burgundy; counterfeiters are into money and the Luxury business, so why looking anywhere else? Big names in fashion, clothes, bags and other luxury products have been counterfeited for decades as there are a huge market and demand for those, and it is the same for high-end wines (and even mass-market wines to a certain extent). 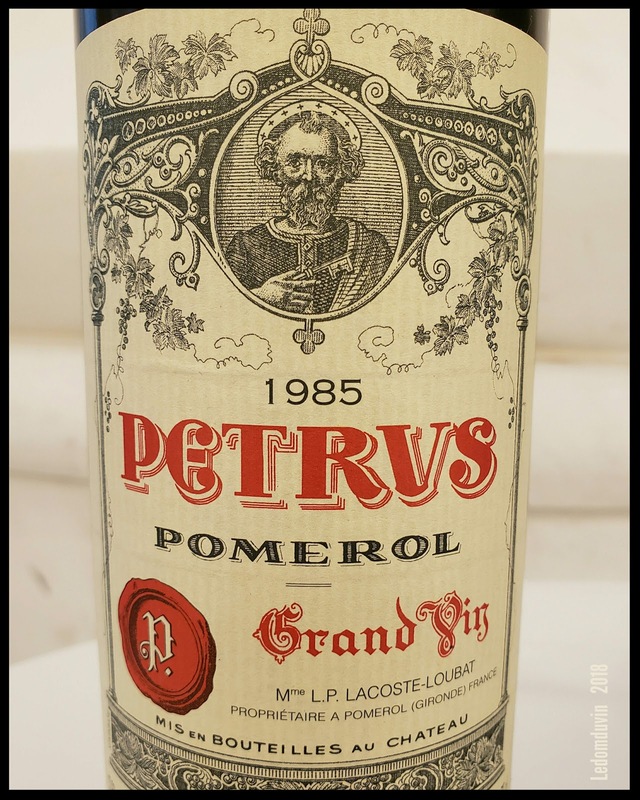 Look at the price a 1945 DRC Romanee Conti, which recently fetched US$ 558,000 (roughly 490,445 Euros) at the last Sotheby’s Auction, for example… Well, I'm not saying anything, but I would not be surprised to see a few more bottles of this specific wine reappearing on the market very soon. A total of 600 bottles were produced, and only 2 were sold during this auction, the rest of the bottles is believed to have either been consumed by now or be part of private collector’s collection, and yet there is already 1 bottle for sale on "Wine-Searcher" at a Belgium wine merchant (here), while there was none available prior the Sotheby’s sale. So, simple coincidence or resurgence? The Global Market is unfortunately flooded with fake and counterfeit wines, and the recent drastic price increase of the last 4-5 years is not helping. High-end wines started as a commodity, then they became only accessible mostly to the rich, then they evolved into Luxury products and became assets, they have been traded like a currency for the past 2 decades, and nowadays the top 25 wines labels in particular vintages have become rare collectors and are no longer considered like wines but like invaluable pieces of artwork, fetching never-heard-of stratospheric prices.